Got 6 phones and 4 tablets? Then you need this charger. Finding an open outlet to charge multiple devices can be a pain, even in your own house. 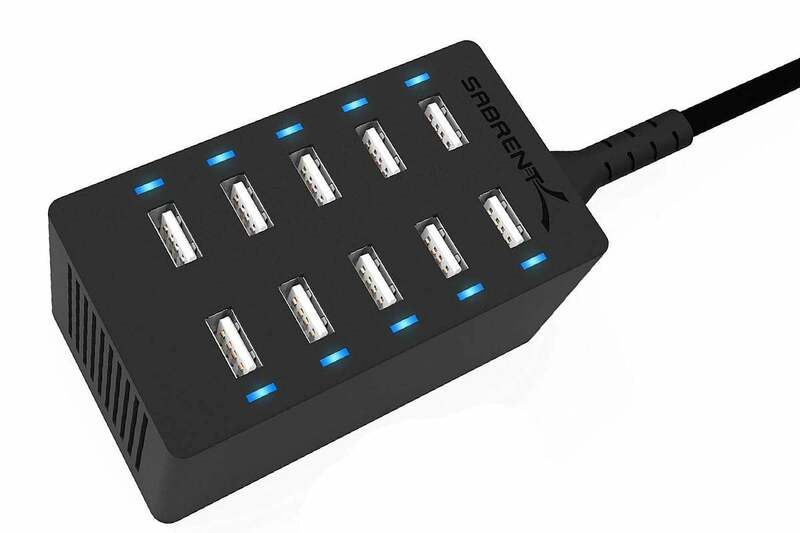 That's where multi-port USB chargers can save the day, and today you can get one big enough to charge everything in your house for cheap: Amazon is selling Sabrent's 10-port desktop USB charger for just $17Remove non-product link, down from a list price of $45 and just pennies off an all-time low. This charger comes equipped with 10 USB ports for simultaneously charging all your devices at once. Sabrent's "smart port technology" ensured that it will work with anything that charges via USB port, no matter how many phones and tablets you have. It doesn't support Qualcomm's Quick Charge fast charging protocol, but with a weight of just 8 ounces and dimensions of 3.8 x 1.9 x 2.1 inches, you can easily transport it between home and work as needed. We haven't tried this charger ourselves, but it's a popular pick on Amazon, with 4.5 stars out of 5 over more than 2,000 user reviews.